Beaming with enthusiasm, geophysicist Jacob Verhoef talks about the findings of his scientists during a recent exploration mission in the Arctic Ocean. Canadian and U.S. icebreakers traveled 4,000 kilometers late last summer, collecting seabed data in the Arctic, north of the North American continent – a difficult mission in the context of an international race to define continental boundaries. Those boundaries will ultimately determine who owns the Arctic offshore oil. The recent expedition has produced a wealth of knowledge about the western Arctic Ocean, explains Verhoef, who received his doctorate from the University of Utrecht in 1984. His scientific team in Canada is now analyzing the findings: so-called bathymetric measurements of water depth and the shape of the ocean floor, and seismic data on soil composition. The researchers even discovered an undersea mountain, 1100 meters high and 50 kilometers long. “That shows how little we know about this whole area,” says Verhoef. 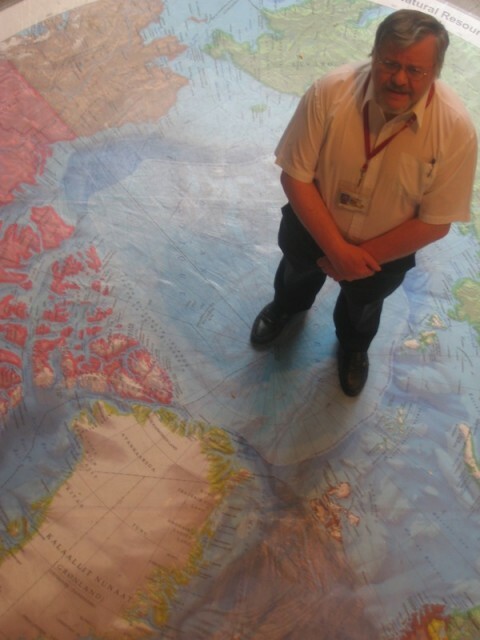 Geophysicist Jacob Verhoef leads Canadian research missions in the Arctic. The expedition is part of a series of Canadian research missions in the Arctic Ocean to support territorial claims on the seabed. The remote area, which is becoming more accessible due to the melting of the sea ice, is thought to contain one quarter of the world’s undiscovered oil and gas reserves. Canada and other Arctic nations – Russia, the U.S., Denmark and Norway – want to claim as large a part of the Arctic sea bed as possible. They can do so under the United Nations Convention of the Law of the Sea, UNCLOS. According to that treaty, every coastal state has exploration and exploitation rights in an ‘exclusive economic zone’ of 200 nautical miles off the coast. Beyond that, states can claim sections of the continental shelf under certain conditions, up to 350 nautical miles offshore, or even more. In that zone, a country then has exclusive rights to the natural resources under the seabed. These rules apply to all seas – but the stakes are highest in the relatively unexplored Arctic. Despite that, Canada, the U.S., Russia and Denmark are all busy doing research. Russia submitted an aggressive claim in 2001 which was rejected, and the Russians are now collecting new data. 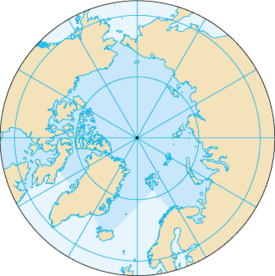 Denmark and Canada are working together to explore the area north of Greenland, including the Lomonosov Ridge, a submarine mountain range between North America and Russia. Its geological nature is disputed. The U.S. has not yet ratified UNCLOS, but is collecting soil data north of Alaska anyway. That work is done from ice camps, with seismic recorders. About 150 recorders are placed at one-kilometer intervals on the ice – paradoxically, in cooler boxes to protect them from the cold of -40 degrees Celsius on average. A load of dynamite is exploded 100 meters under the ice, producing sound waves. The duration of time it takes for them to bounce back is measured with precision clocks. These data provide cross-sections of the seabed. Arctic nations are making claims to sections of the seafloor. The preliminary conclusion is encouraging. “The structures are continuous,” says Verhoef. “We have shown that the Lomonosov Ridge moves with the North American continent.” A scientific article will be published soon in a peer-reviewed journal. In addition, data are collected in the eastern Arctic about the shape of the seabed. This is done from the ice, by sending a pulse down and measuring how long it takes to come back. That work is done in spring, when the sea ice is at its strongest. Because of the logistical challenges with ice camps, Canada also has two unmanned submarines, capable of traveling under the ice and measuring depths, before returning to a hole in the ice. These vessels, which are seven meters long, will be deployed this spring. In the western Arctic, Canada is working together with the U.S. to examine sediments from the Mackenzie River that are scattered in the Beaufort Sea north of Canada and Alaska. Under the UN rules, the presence of these sediments can be used to demonstrate that sections of the continent outside of the 200 mile zone are part of the continental shelf. Seismic data are collected to study the soil composition. That work is done with two icebreakers: one leading the way to break the ice, and a second, carrying seismic equipment. A 2,000-pound air cannon is dragged by the second icebreaker, under the chunks of ice in the wake of the ship. An air bubble is detonated under water, emitting sound waves. Precision clocks register how long it takes for them to bounce back. That results in a cross-section of sediments at the bottom, sometimes four to five kilometers to the bedrock. According to Verhoef, data from both the eastern and western Arctic are beneficial to Canada. “They show that what we thought was there, is indeed there.” The research has also yielded indications of possible oil reserves, but those data will remain under wraps for the time being.